Thumbnail photos - Click for larger images of the Mystique home bar. 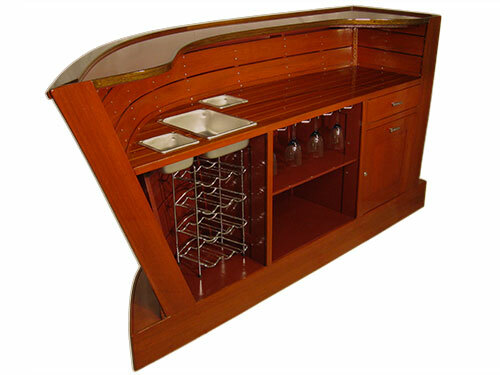 Base price is $18,974.00 Choose home bar style. a low sheen and is the easist to care for. have a browner or redder color respectively. Mahogany paint with clear coat. Accent stain on covering boards / arm rails and deck trim. Same as main stain choice. 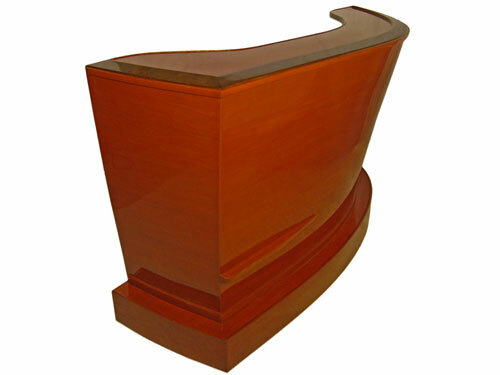 sink / fruit pan is ≈ 9.3in x 11.5in. No bottle wells, no pan. installing a compact refrigerator (not included). Gold leaf monogram, name, design, etc. on transom. Must provide design. May delay initial quote. Will product be shipped to an Ohio address? additional charge directly to them. up questions we have. Please complete the information below and click the "Submit Request" button for processing. 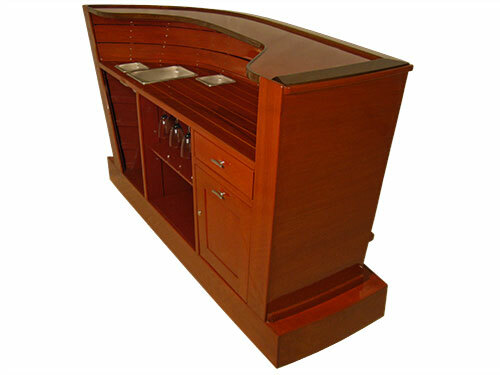 Custom bar furniture purchase request quote.